Here's the cans, nicely chilled and ready for drinking. Here they are again, this time with the English side facing the camera. Look at that can on the right! It's got those bizarre green cubes all over it. They looked like nothing so much as green Jello. Maybe this drink wouldn't be so bad! The can on the left? Odd looking, but promising. I mean, I love tapioca pudding, and this thing has tapioca balls right in it. 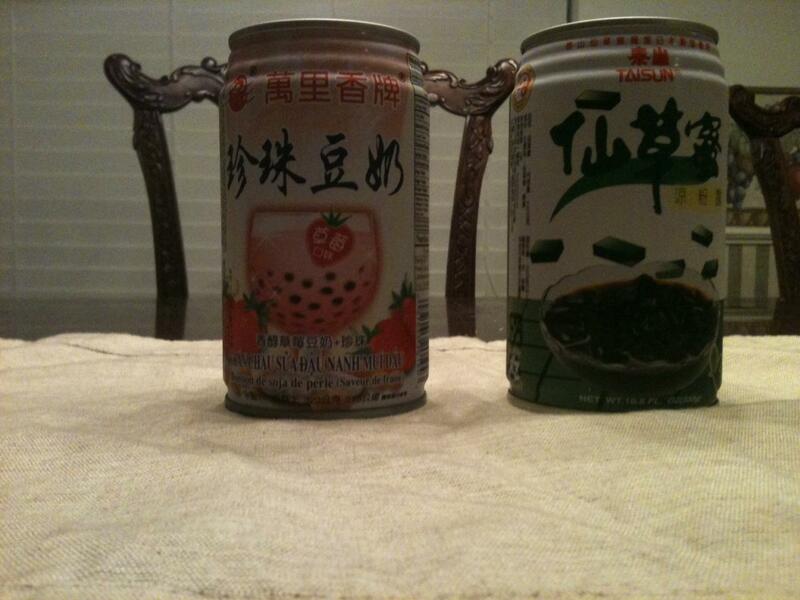 First up was the grass jelly drink. Every comparison I can think of for this drink falls short, because it tastes not quite like anything I've ever had. It's kind of like a very highly sweetened (almost sickeningly sweetened) green tea, with honey and hints of jasmine and mint. Oh, and also a dude blew his nose in it. 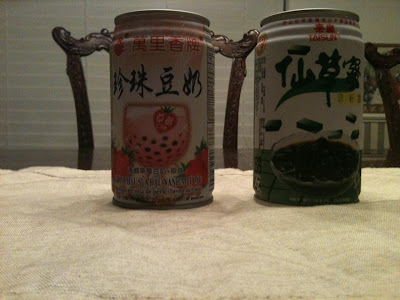 (I know how very awful this is, but I can't stop thinking "Me Chinese, me play joke...") I don't generally have texture problems with food, but taking a gulp of grass jelly drink was like having a mouthful of especially slick snot chunks in my food hole. I had to get this taste out of my mouth. 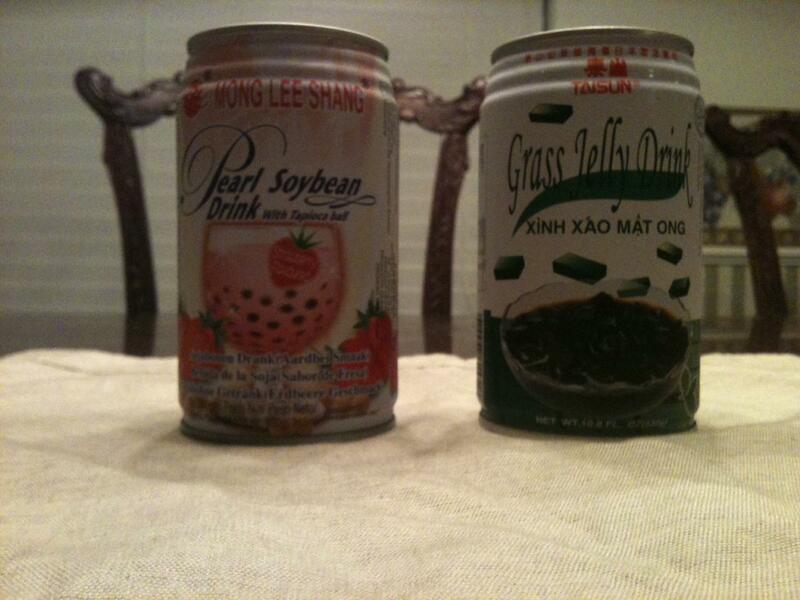 Fortunately, there was still the pearl soybean drink. You guys... It was FANTASTIC. You probably should avoid it if you're skeeved out by anything other than drink in your drink, but it tasted just like Strawberry Quik. Quik and tapioca - it was like being eight years old and back in my mom's kitchen! For only 99 cents! OK, here's what you're here for. Watch the monkey drink the crazy stuff. Does Lubbock have any bubble tea shops? Bubble tea has been supplanted in trendiness by frozen yogurt and cupcakes around here, but there are still some places that sell it. If you can find one, you should see about hunting down freshly made pearl tea (I recommend jasmine milk tea as a good basic flavor). If you liked the canned strawberry stuff, I think you'll really like it! 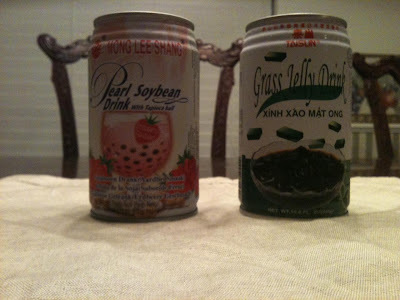 And if you have any Vietnamese restaurants nearby, you can probably find a more palatable jelly drink to try. Jelly drinks are an acquired taste for sure thanks to that weird texture, but it's definitely easier if you get it fresh and not in a super-sugary canned drink.